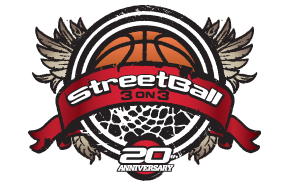 The StreetBall Tournament hosted in the City of Neenah, Wisconsin – officially titled StreetBall 3-on-3 (www.streetball3on3.org) – is now 20 years old. It was the brainchild of then Future Neenah Executive Director Randy Stadtmueller and is carried on today by the current Executive Director Amy Barker with her excellent staff. What does an event like this mean for Neenah and the surrounding communities? Hundreds of teams create meaningful competition. An economic impact in the $100’s of thousands annually for the community. International awareness. The website generates interest from virtually every state in the U.S. and in 40 countries as well. The downtown area is quaint. It reminds me of the way Crested Butte, Colorado looked in the late 1970’s. We have the perfect mix of residents and businesses. Generally speaking, folks are Givers around here. Our Parks & Recreation Department is more innovative and forward thinking than any I’ve seen before. We have the perfect weather. It NEVER snows in the summertime. And finally, how does this all come together each year? Future Neenah hosts a number of events throughout the calendar year and to do this with such a small staff, they have to be REALLY WELL ORGANIZED (and they are). Talented too. StreetBall’s longevity is also a testament to the resolve of Future Neenah’s past Executive Directors Karen Harkness and Bob Buckingham, as well as their boards of directors. Aside from that, StreetBall depends upon a lot of volunteers as well as the generosity of groups and companies like ThedaCare Physicians, Bergstrom GM of Neenah, Bemis Company, SPARK Advertising, Cumulus Media, Associated Bank, ThedaStar Air Medical, Wisconsin Energy Foundation, Wisconsin Department of Tourism and yours truly, AlignTech Solutions. Like Spokane’s Hoopfest, Neenah draws teams from around the U.S. and Canada with most teams coming from Wisconsin, Illinois, Michigan, Minnesota, Iowa, Indiana, California and Texas.